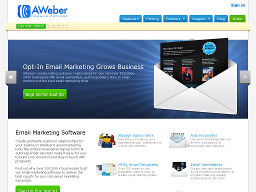 AWeber Imagine an automated system delivering instant information to your potential customers, and then following up with them automatically over the coming days, weeks, and months. AWeber's automated follow up system will save you time! It will maximize your marketing efforts, keep you organized, and make you a ton of money. 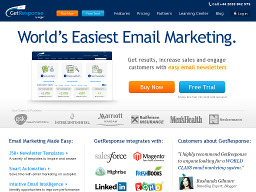 GetRESPONSE Easily automate your tedious marketing efforts, chop hours of needless work and dramatically crank up your sales by as much as 437.9% or more! SendFree It's a well known fact that 80% of all sales are made on the 5th - 12th contact. SendFree autoresponders automate the follow-up process for you. They instantly deliver your promotional messages to your prospects when they're hot. Then they send automated and personalized follow up messages that build trust, close sales and make you money! from one site.